Will the police harass you if you dare make a complaint? 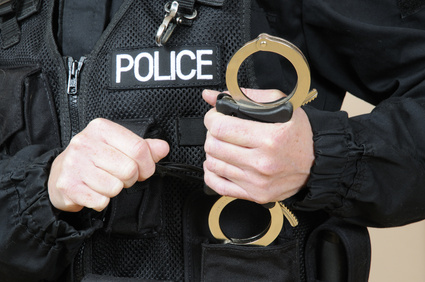 Occasionally we get e-mails from people who believe they have been wronged by the police but are worried about what will happen if they make a complaint. Will it result in unwanted attention from the officer involved or his colleagues? Will they suddenly find themselves on the receiving end of a vindictive campaign of petty arrests or intimidation as a result? Could the police suddenly decide to launch an investigation against them or add damaging information to existing records? Unfortunately these things do happen. There are some police officers who decide to find ways and means of ‘getting their own back’ because the complainant has somehow made the officer look bad. The police would vehemently deny this. They claim that complaints are all just part of the job and they don’t get hung up on them. That they would be sacked if they abused their positions to get payback. And that fellow police officers wouldn’t stick their necks out for another officer wanting to get revenge on a complainant. Unfortunately very little of what the police say is true. Any officer who behaves vindictively when among the public is likely to behave the exact same way toward a complainant. And every serving police officers allegiance is first and foremost to the force, and to each other – not to the public. However, so as not to make their retaliation look too obvious they will often exploit or revisit an existing incident to see if they can stitch the complainant up that way. In 2012, Mr. X had been to Hillsborough to watch a United v Sheffield Wednesday match. On leaving the grounds he had to walk past a female dog handler with a German Shepherd. For no discernible reason the dog leapt up at Mr. X and bit him. The bite ripped through his jacket, and punctured the flesh in his forearm causing it to bleed. Mr. X was rightfully incensed about the attack and insisted that the officer give him her details so he could complain. The officer refused and was then subsequently joined by a male officer who told the victim to leave under threat of arrest. As Mr. X walked away the male officer mocked and laughed at him. Mr. X then left the grounds and found a paramedic nearby who treated him on the spot for his bite wound. The following day he made a complaint about both officers to South Yorkshire Police. Two weeks later Mr. X received a knock at his door by two uniformed police officers. He was then handed a fixed penalty notice (FPN) for breaching section 5 of the public order act, in which he had allegedly caused ‘harassment, alarm and distress’ by his behaviour. Mr. X was outraged by what was a clear attempt at a malicious prosecution by the two officers who had been slighted by his complaint. At no time at the football ground had he been asked to give his details by the dog handler, nor had they ever suggested he was committing an offence. It was clear that the officers had merely copied his name and address directly off his complaint letter and then made up an allegation to punish him for daring to complain. Rather than pay the FPN, Mr. X contacted a solicitor who specialised in claims against the police and brought an action against South Yorkshire Police for malicious prosecution. It’s because of such corrupt and vindictive officers such as those at South Yorkshire Police we always advise people to NEVER COMPLAIN ABOUT THE POLICE RIGHT AWAY. Always leave a minimum of at least a few weeks before doing so, preferably a few months. The reasoning behind this is simple. By complaining too quickly you may put the police on their guard and give them the opportunity to load evidence in their favour or find an offence within a recent incident to prosecute you for. Notebooks will be amended, incident logs updated and officers will collude with each other. Furthermore, NEVER let the police know you intend to make a complaint against them. In all probability, the officers described in the above story would have written down an unfavourable version of events in their notebooks the moment the victim left the scene. As a form of insurance should the victim make good on his threats to complain. Therefore it’s vital that you never put the police on guard and give them the opportunity to make YOU the scapegoat. Always let the original event or investigation that inspired your complaint go cold before making a complaint. As long as you don’t leave it any longer than a year, the police cannot use any delay in making a complaint as a reason to disregard it. Download it now for just £4.50 and you will also receive a free copy of “How to Prosecute Criminals When the Police Won’t”, a short guide to bringing criminals to justice when the police look the other way.